standard features. 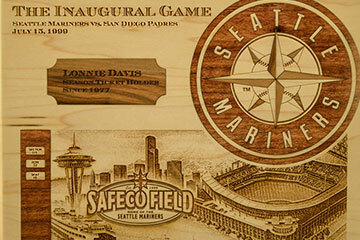 The Legend Series features our top-of-the-line CO2 laser systems and is utilized by customers for the highest-quality engraving and cutting of wood, acrylics, plastics, stone, and much more. 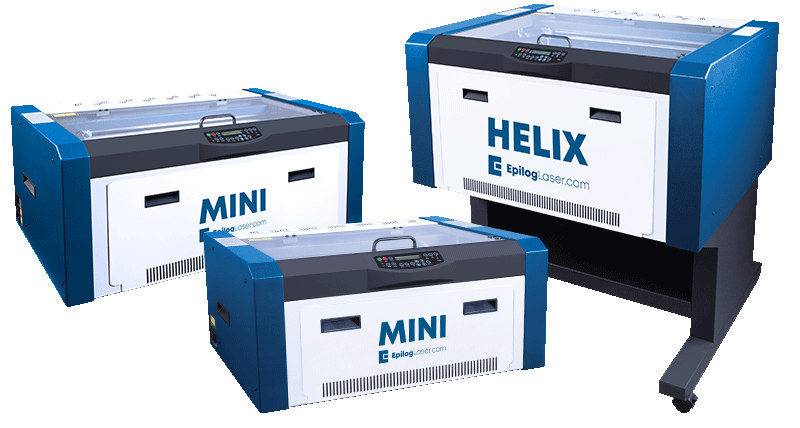 Find out why the Legend Series - from our small format Epilog Mini 18 to our popular Helix Laser - is the number one choice for engravers worldwide with the highest quality motion control system and most features on the market. And we're proud to say it is 100% designed, engineered and built in the USA! 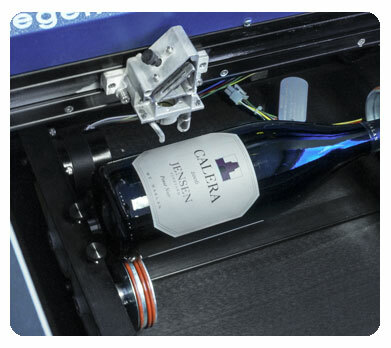 The Rotary Attachment allows you to engrave wine bottles, mugs, glasses, flashlights and more. 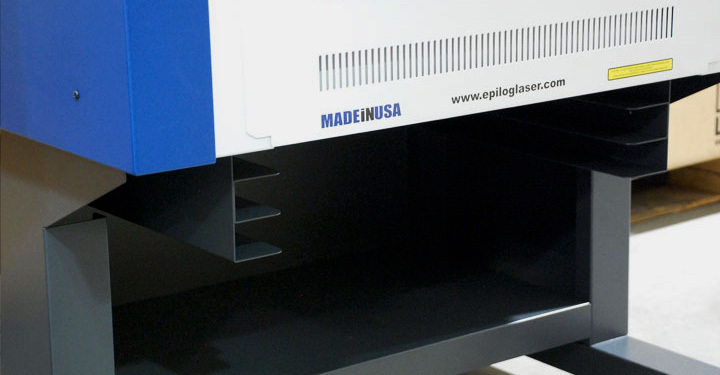 Available for all Epilog Legend systems, the Rotary Attachment adds the ability to engrave bottles, glasses, flashlights, and other cylindrical items. Specially designed for our entire line of Legend lasers, it has been built to accommodate a large variety of shapes and sizes. 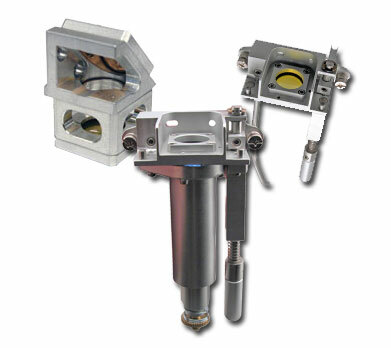 The attachment easily adjusts for different lengths and will even rotate cylinders that have different diameters on each end. So intuitive and easy to use, you can change from one glass to the next in seconds without removing the attachment from the engraver. Additionally, our proprietary design provides accurate image scaling without the need to input diameter or circumference calculations. Photo processing software that optimizes your photographs for engraving on a variety of materials. 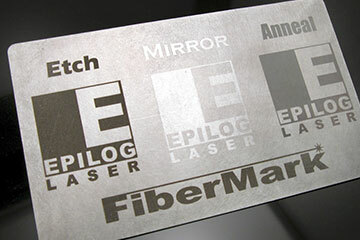 PhotoLaser Plus takes photo engraving with your Epilog laser to the next level by easily processing photos for engraving on all types of materials. Are you looking for a system that engraves outstanding photographs? How about a system that engraves photos in a consistent, predictable way for your customers? Epilog Laser has partnered with CADLink to bring you the industry’s best photo processing software: PhotoLaser Plus. The easy-to-use software interface and powerful photo processing tools allow you to create the highest-quality photo engravings in the industry. In addition to the 2.0" lens, we offer special lenses for specific applications. A easy to use stand for moving your laser. While the Helix comes with an included stand, the Mini 18 and Mini 24 are desktop units with an optional stand. If you prefer to have a free-standing system, you can add this wheeled cart specially designed for the Mini Laser line to your machine. 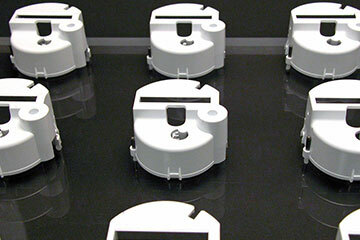 It will allow you to quickly and easily move your machine thorughout your work environment. 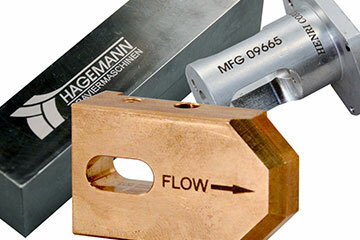 Raise and support your cutting materials for better edge quality. 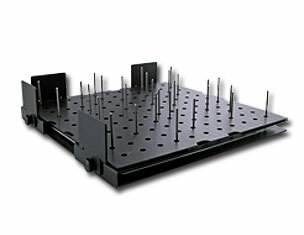 The Pin Table incorporates movable pins that can be placed anywhere along the table's grid of one inch (25.4 mm) spaced holes. The movable pins also allow the user to raise and support the cutting material in locations where the laser will not be cutting, providing a means of eliminating backside reflection. The table also allows you to place pins to support parts that would normally fall out of the cutting pattern. A handy removable surface plate makes the task of cleaning up small parts easy without removing the Pin Table. Blows a constant stream of air on the cutting area. 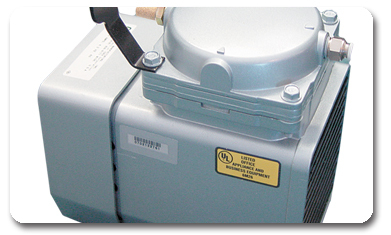 Epilog's optional Air Compressor is available to work with the included Air Assist features of the laser systems. Direct a constant stream of air to your cutting surface to remove heat and combustible gases from the work area. This high-quality air compressor unit feeds 30 psi of air through the Air Assist structure, giving you the best cutting results available. The rubber vibration-dampening feet reduce the noise level of the compressor, and connection is a breeze with our quick-connect inlet and outlet ports on the compressor and the laser system. 24" x 12" Engraving Area. © 2019 Best Equipment Sales, inc. All rights reserved.